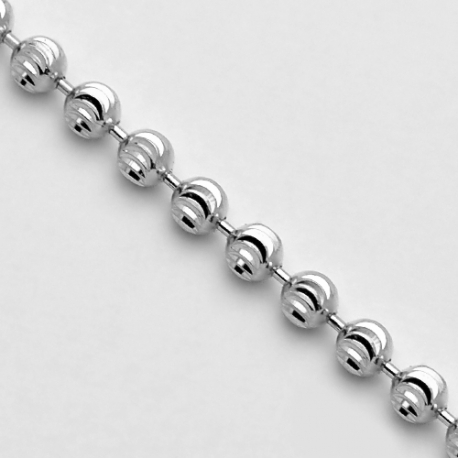 Our army moon cut ball chain is ideal for the man who wants something special! 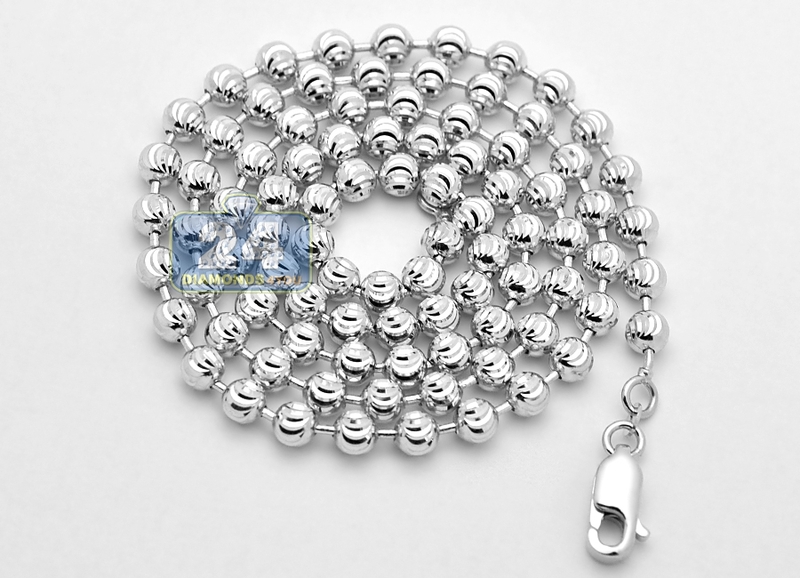 Ably made of solid 14k white gold in Italy, it features highly polished smooth finish. There are also moon cut patterns that give amazing glitter! 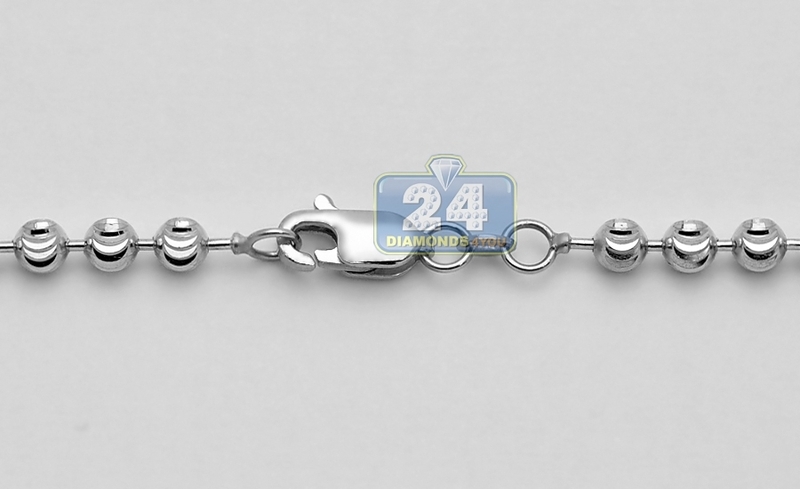 The piece has thickness of 5 mm, and available in 24, 26, 28, 30, 32, 34 and 36 inches in length. For security purpose, it's closed with a durable and comfortable lobster clasp. This beaded necklace will be a spectacular addition to any jewelry collection!